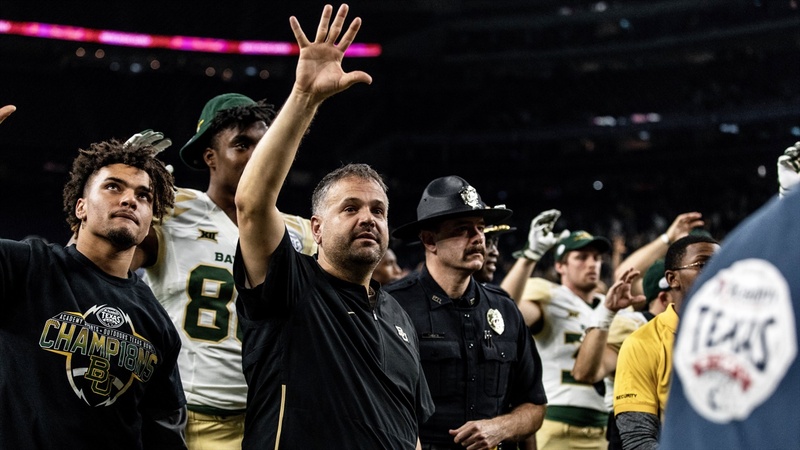 Following a Texas Bowl victory over Vanderbilt and while closing out his third recruiting class since taking the head coaching position at Baylor in December of 2016, Matt Rhule knew that questions regarding his connection to the NFL, specifically the New York Jets, would be asked. 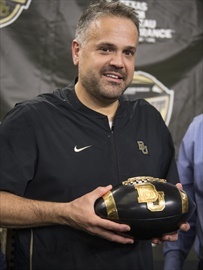 That statement shouldn’t create confidence in a Baylor fan or potential football prospect, but Rhule clarified in the rest of his response that he has found a home in Waco. A home that is more comfortable than an NFL team in his home state? A place he grew up rooting for both the New York Giants and the New York Jets? Had Rhule been willing to accept that all coaching personnel decisions would be decided by the management team for the Jets, there’s a very good chance he would have received a job offer. He didn’t, the Jets didn’t officially offer, and Rhule is still in Waco ready to coach the Bears for a third season. And according to Rhule, he hopes to be in Waco for a much longer time. How long is a long time? If the wins keep coming and recruiting continues to improve, Baylor fans are hoping they can slap the “lifer” label on him. But for now, one season at a time. Support SicEm365! Try out our premium content for $1.00!